Ledua Naisaki completing his enrolment at TappooCity in Lautoka. 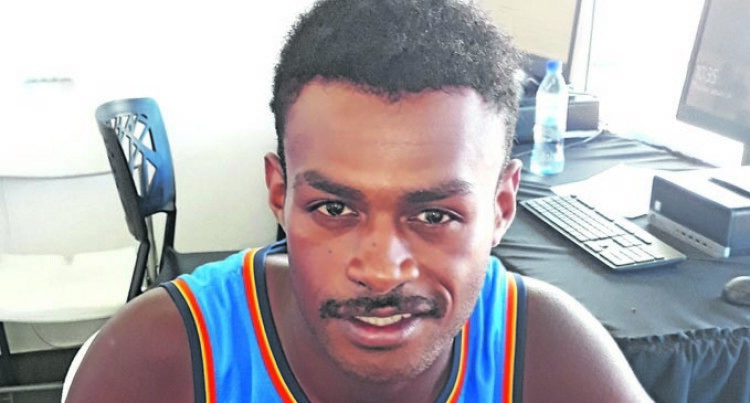 Growing up in Lautoka watching and helping his grandmother bake mouthwatering pies and cakes influenced Ledua Naisaki to enrol at the Fiji National University (FNU) to perfect the skills he learnt over the years from home. The twenty-two-year-old said assisting his ‘nau’ (grandmother) fuelled his passion and he now aims to make a career out of a hobby. Naisaki will undergo studies in the Trade Diploma in Baking and Patisserie at FNU’s Namaka Campus in Nadi. “After completing my secondary education, circumstances were such that I had to leave school and look after my sick grandmother. But now she is better and I can focus on my studies,” the former Lautoka Muslim College student said. Naisaki said the hospitality and catering sector was a booming industry in Fiji, hence there is a need for highly-skilled local pastry chefs. “I believe I have the creative flare and attention to detail skills, which will assist me in crafting beautiful and delicious cakes,” he said. Naisaki said that the practical component of FNU’s programmes was the deciding factor when choosing a tertiary institution. After completing the two-year programme, Naisaki aims to secure employment at a resort in Fiji.